Thought I would do my first update of my continued use of the Day One App. I want to begin by saying I will share a few pictures however, the stuff I write on some days is very personal and as I use it as a tool as my continued therapy not all posts are positive, though I do try to put at least one positive note for each day this isn't always possible for me. So below is my progress so far, I began using the app on the 1st of July and have written at least one entry per day, sometimes 2 or 3 depending on the day I've had. I am extremely happy I have managed to keep it up as I have always struggled with journal style keeping so this is a big step forward for me. I have also downloaded the Mac App which allows me to post directly from my macbook which again gives me flexibility with what and how I post, I will tend to write longer posts on my on the mac as it's easier and you can see everything you are writing without the need to scroll. So, here are three recent pictures I uploaded along with my entries, I'll write a little about it so you can get a little insight into the types of things I write about. 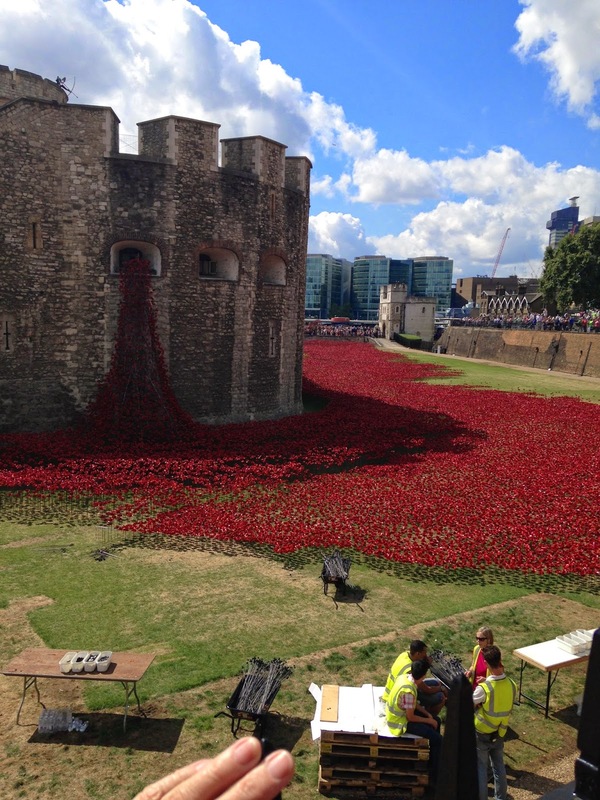 This picture is of course of the stunning poppies around the Tower of London, a picture just doesn't do it justice and I'll definitely be making another trip to see it again as they were still adding poppies when I went last. There is no filter on the picture, the sky really was that blue and the poppies really were that red. I also uploaded this to my Instagram (@bad_bambi) which you can tell by the filter on the image. This is a sneak peek of some work I've been doing for one of my freelance jobs and I'm really happy with how they are turning out. Something new and fresh for their company and I'm excited to see them all once they are printed. This is a picture from one of yesterday's entries. It's of course a meme, but this one was created by me! I was inspired and well, from the response I've had so far from other Sharkies I think it's a hit (300+ likes, reposts etc) pretty content with that and hopefully I'll start seeing it pop up randomly in the future and think 'that was me!'. I would share a few more pictures but I don't want this post to get stupidly long! I think I'm going to do monthly or every other week updates on my progress and share a couple of pictures each time, as otherwise these posts could get really long if I don't do regular updates. Watch out for Update #2 in the near future! See you in my next post which will be coming very soon. This is such a great post and a great way to organize your life...and I think I need it haha!